What to do when people ignore you (plus 5 tips)! Welcome to another article! This week is special, because I start to include a video version of the post. This makes it perhaps easier to understand the topic on why people ignore you. It’s a question that I hear over and over again and that many people are struggling with. Especially with the use of technology people want and expect an instant reply. They want replies by phone, by email, by message, by Facebook, by messaging apps like line and what’s app. And if there is no instant reply, it is often linked to that person being careless or not wanting to contact you. 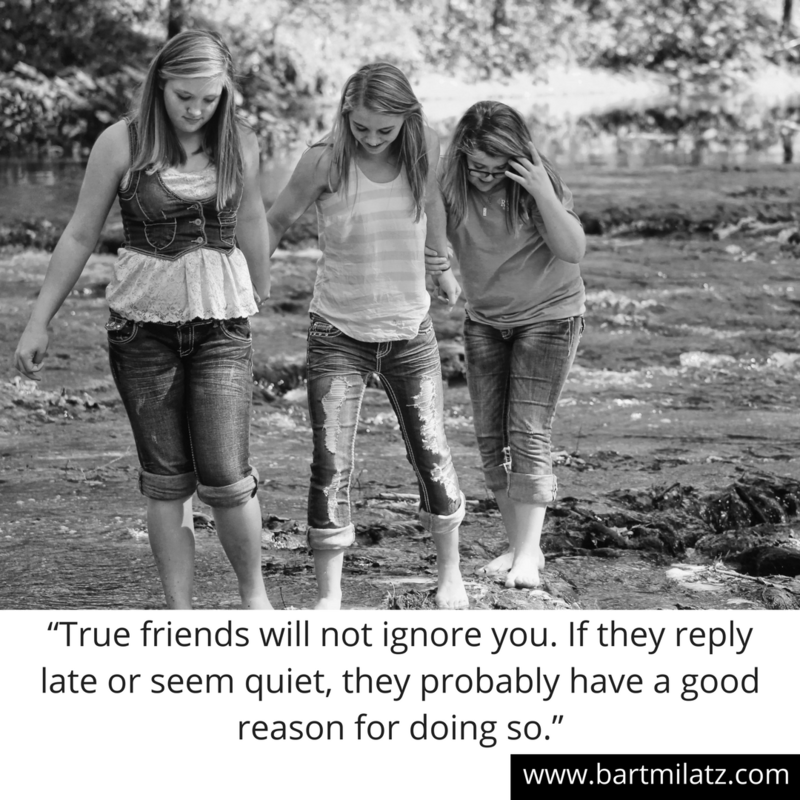 In this article I will give you 5 tips you can use when you feel that you are being ignored. First of all, your true friends will never ignore you. Even tough they may answer late, keep in mind that they probably have a good reason for it. Simply send a message like: hey, I tried to contact you, but you didn’t answer. I hope everything is alright? Please contact me if you get a chance. It’s nice, it’s polite and the ball is in their field. Now let go of the expectation of a reply. You have done your part and there is no need to get frustrated, angry or disappointed. Even tough they may never answer you, that’s ok. Time to let them go and move on. The second tip is to stay busy and focus on your priorities. If you have a lot of free time you start to wonder and think too much about why people don’t answer you instantly. If you are busy and focused it doesn’t matter what other people do, because you know they are probably busy. Often what is going on in your life is what you expect others are doing also. When you have free time, you expect other people to have free time and be available for you as well. When you are busy, you understand that other people are probably busy as well and you understand when they reply late. Thirdly, have enough people in your life. If you have just one good friend and you don’t get an answer, you feel devastated. When you have 10 people in your life, you go okay… so be it. If you have 100 friends and 1 is gone, you go: next! Often there could be other reasons why someone ignores you. Such as a broken phone, they dont have internet connection or even death! A while ago I was a bit disappointed that a friend didn’t answer me for weeks. Turned out that he died! It’s not really funny. But at least I knew it wasn’t personal. Last year I went to the temple for 10 days and I didn’t tell anyone about it. Phones were not allowed in the temple in order to get the best experience there. I turned my phone of, knowing that a lot of people will get angry. And yes, after the 10 days I turned on my phone, getting hundreds of messages. My true friends simply send me a message like: hey, what’s going on? I tried to contact you but you didn’t answer. Please contact me as soon as you got this. Acquaintances that weren’t that close send me messages like: why are you ignoring me? And the next day a more angry message like: ok don’t talk to me again. Goodbye. And they removed me out of their lives. It’s actually a great tool to use to filter the crap out of your life and clear your ship. I felt so free and relieved after that! Fourthly, never put anyone in your life above you. When you think someone is more important than you, you fear their loss when they are gone. But if you have someone in your life that you think is less than you, you want them to be gone, don’t you? Finally, don’t take it personal if someone ignores you. This could seem hard to do at first. People come and go, that’s life. Let it be. People change interests and friends all the time. Focus on what you want and how you feel instead of what other people want and how they feel. Now I would love to hear from you! What do you do when people ignore you? Do you get angry or frustrated? And what are you going to do from now on? Leave your comment here at www.bartmilatz.com.